One of the most frequently questions that I get asked is how I am able to create a project or a room makeover, on such tight financial restrictions. Anybody that knows me, knows that I am very candid about what I spend on my projects, though I may not always post the prices. Everything I do has to be on a budget because financially, we are just unable to splurge. 1) Plan out your project completely from start to finish: I can’t stress this enough. When we first purchased our house, I was all over the place. I wanted to start in this room, then move to the next. Yet, I had not even thought about the style in which I was going for. I wasted alot of money and time. Don’t be silly like me. Truely think about what you want and how it aligns with your overall style. 2) Don’t OVER- Do It: Sometimes, through reading blogs, looking at magazines, and HGTV, we can tend to over do our home, making it more look like a show home, rather than lived in. Think your choices through. Decorate a room to be lived in and functional. I love the look of a neat staged home, but on a daily basis, that is not possible for me, and I am okay with that. Look in average places like Target, Wal-Mart, Dollar Tree, Ross, HomeGoods, etc. for items that align with your everyday needs. Don’t just buy something because it is expensive and will make a great conversation piece because of the price. Expensive things don’t make a home. The people and how it functions for them does. Plus, over doing it can make a house look cluttered. Who wants that? 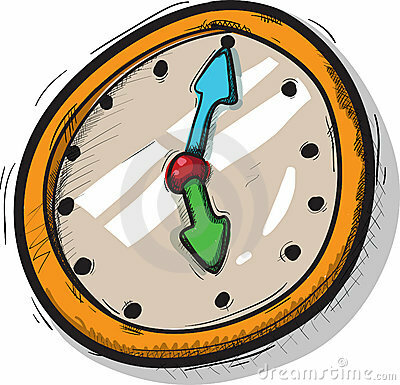 3) Take all the time you need to finish: Sometimes finishing a room could take a week, a month, a year, or even two. So what! It’s your space and your money and I think you should work through what works and what doesn’t, rather than being stuck with something that you feel is either just okay, or that you hate. Rooms are meant to evolve over time so take all the time you need to get it to not just to your liking, but to a room that you and your family love! Sometimes you have to save the money to add a feature to the room. Just save, and wait it out…don’t settle. 4) Re-purpose Old Pieces: To me, what makes a room is taking something old and turning it into something new. 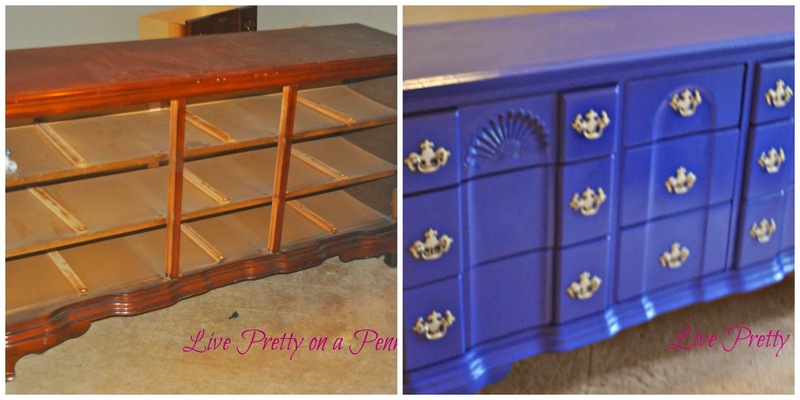 Turning an old dresser into a newly painted or stained buffet in a dining room, taking an old coffee table, and turning it into a cushioned ottoman, or even taking old dining room chairs and recovering them to a new fun fabric. Just google some ideas. There is all kind of stuff out there on the good old web, and on my blog. Opportunities are endless when re purposing items from your home. 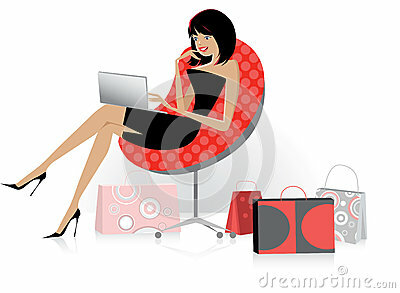 To me, nothing is better than shopping around my house:) Plus, it definitely saves you money! 5) Shop Around: My final tip to decorate a room on a tight budget is to shop around. Check thrift stores, Craigslist, Ebay, Amazon, Wal-Mart,Target, or wherever else that you can score a deal. This does not always require multiple trips to different stores. This is as easy and Googling the item and checking out the different search results. Coupon codes can help. You always want to get the best price. I have had instances where all I did was go to Craigslist and type in the name or store of an item that I was looking for, and found it for significantly cheaper. Or just browse Craigslist for potential items that you can re purpose. As I stated in the beginning, I am no expert and these are just my tips that work for me through trial and error. I hope that they help somebody else! Next Post The Creative Spotlight is Back! These are all really great tips, Erin! #3 really speaks to me! Love these tips and they ring so true with me!! Thanks Katrina! I think they ring true to us all! I always have to remind myself. These are really great tips. Especially the one about repurposing. That's the main thing I do. It's amazing what a little paint and elbow grease can do! I totally agree. Its hard for me to make a new purchase because older pieces have so much character! Thanks so much for paying me a visit. These are great tips, and I couldn't agree with you more. My budget is super tight and I have to refocus from time to time after visiting people's homes that have been "put together" as soon as they moved in, either because they chose to furnish and pay off the bills later or because they had the funds to buy what they wanted up front. I keep reminding myself that I'm on a budget and I am eclectic and for those reasons alone I have to be patient and do things in my own time. Thanks again for the encouragement through your tips! Now that is great advice. Number 5 is my biggest problem. I have returned more things than I care to remember to the store, because I saw something that I liked better somewhere else. Thanks for sharing such wonderful tips.